You will be given a reference e-book to read which has 316 pages And the test will be based on that e-book , you can take final test within 1 year of purchase. Training can be defined as the process of acquiring skills, knowledge and competencies through taking up a vocational training course or a practical course which is perfectly designed to help you get enough knowledge about your chosen field. Among the major purposes of training is to improve your performance, capability and capacity on a specific field. Training is also said to be the core of apprenticeships and the backbone of all the contents in polytechnics or technical colleges. Aside from the basic training needed by a person to practice his chosen profession, occupation or trade, everyone is advised to get continuous training to maintain, regularly update and upgrade their skills all throughout their professional life. Being trained continuously is a vital part of your professional development. A lot of experts also define training as a learning process which includes the sharpening of one’s skills and the improvement of his knowledge about certain concepts and rules that will change his attitudes to further enhance his performance. It refers to an activity which leads to a skilled behavior. It should also be noted that the entire training process requires you to know exactly where you stand regardless of how bad or good a specific situation is. It also involves looking at where you will be going after a set time. Getting adequate training is extremely useful in your attempt to become successful in your chosen field. If you want to learn the basics of training people, honing their skills and imparting a higher level of knowledge to them, then the Brainmeasures training certification program is ideal for you. This certification program gives you the opportunity to undergo the most detailed online training about the many things that you can do to train people to become even better especially in their professional careers. 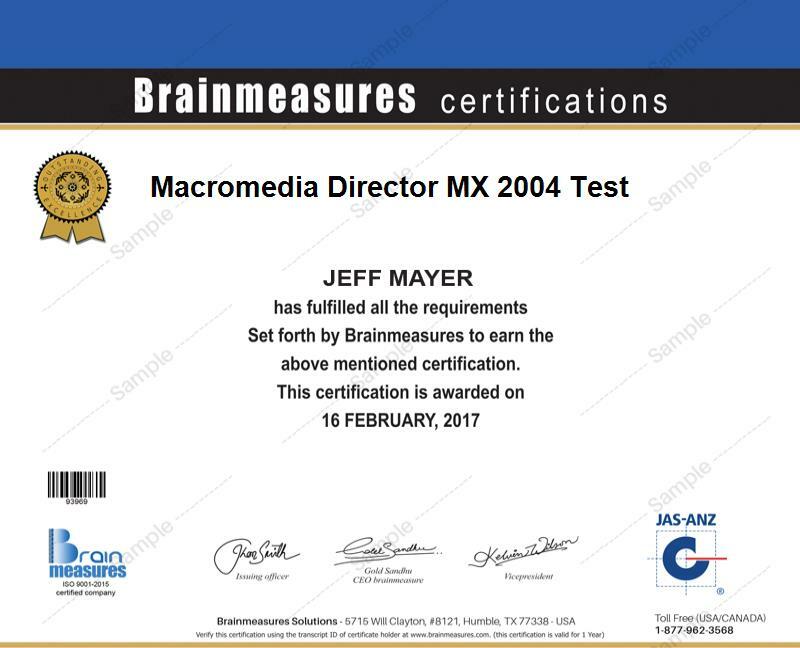 The training and certification that you will receive from Brainmeasures is guaranteed to help you understand the different training and mentoring strategies that you can use in order for you to effectively instill in the minds of the professionals and individuals that you train the kind of knowledge and skills that they wish to attain. You have to successfully complete this training certification course in order for you to finally receive your hard copy certificate. It is also important for you to keep in mind that as a certified trainer, you have to be keen to details and have a higher level of perspective and understanding as this will allow you to successfully train people. The online training certification course which is now introduced by Brainmeasures can offer numerous benefits to anyone who decides to enroll in it. You can expect the training certification program to work perfectly for you if you are a director of an organization, a manager and an HR professional holding an executive position who is in charge of improving the ability of the HR department to improve its contributions to the success of an organization. You can also expect the course to work for you if you wish to hone your strategic skills to get a more advanced leadership or managerial position. Once you receive your training certification, you will notice a substantial increase in your income since your services will be greatly needed by various organizations. Your annual earnings will start to range from $40,000 to $82,000 after you complete your training certification course. This will grow after working in the field for several years and if you work for other organizations that require the services of part-time trainers.